Our babies are the most vulnerable members of our communities. It is telling that one of the measures that is used to get a sense of the health of a community as a whole is whether babies are born on time and if they live beyond their first year of life. In the United States, there are great disparities across communities in rates of pre-term birth and infant mortality. This is an issue on which faith communities can lead. There are a number of excellent partners in Illinois that are used to working with congregations on advocacy and community awareness around these issues. EverThrive Illinois is dedicated to promoting and improving the health and well-being of infants, children, mothers and families through advocacy, education, community empowerment, policy development and collaborative partnerships of public and private organizations. 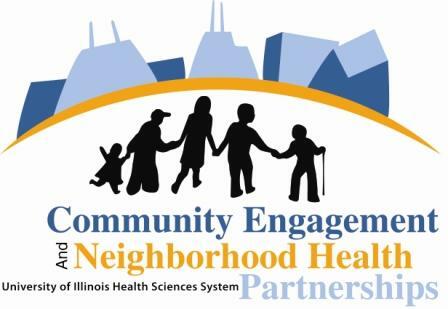 EverThrive Illinois has taken on the issue of disparities in infant mortality and has made considerable progress towards addressing the disparities in the most effective, efficient, and holistic manner. With input from hundreds of stakeholders including doctors, case managers, government officials, faith leaders, community activists, researchers, social service representatives, and women they have collectively outlined a plan and determined priority areas to reduce this disparity in 10 years and completely eliminate it in 25 years. The literature and their findings demonstrate that infant mortality is a complex problem requiring a multifaceted solution. As such this plan is not limited to the health of mother and baby but instead aims to improve the quality of life for women, infants, children and families. Learn more about Campaign to Save our Mothers and Babies (CSOMB). The March of Dimes improves the health of babies by preventing birth defects, premature birth and infant mortality. They carry out this mission through research, community services, education and advocacy to save babies’ lives. Get involved with the March of Dimes, Illinois Chapter. Breastfeeding is one of the most important ways that mothers can contribute to the health of their babies. There are some really good local resource groups and materials to help support mothers in breastfeeding practice.